Thermoelectric materials convert heat energy into electric energy directly by Seebeck effect. Electric power can be generated using thermoelectric materials under a temperature difference without moving parts. Thermoelectric power generation has been paid much attention to as a promising method to recover waste heat distributed widely in our society, since approximately only one-third of primary input energy into our society is used effectively, while the remaining two-third is just released mostly as waste heat to the ambient. Thermoelectric materials could be regarded as ecomaterials to promote effective use of heat energy in the energetic system. 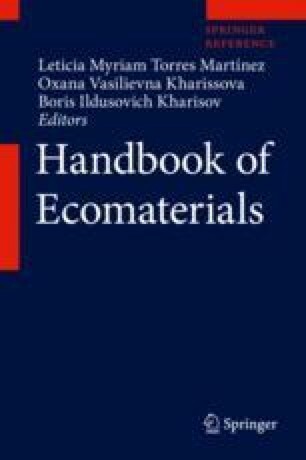 The fundamentals and ecological aspects of thermoelectric energy conversion are reviewed in this chapter.